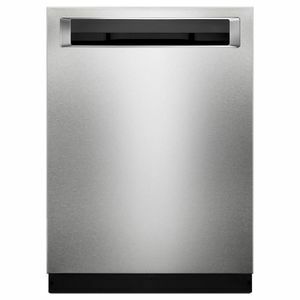 Clean dishes after dinner with this 24-inch KitchenAid dishwasher. Its ProWash setting determines the wash cycle based on the dirtiness of the load, and its stainless steel interior retains heat for better drying and prevention of stains and odors. 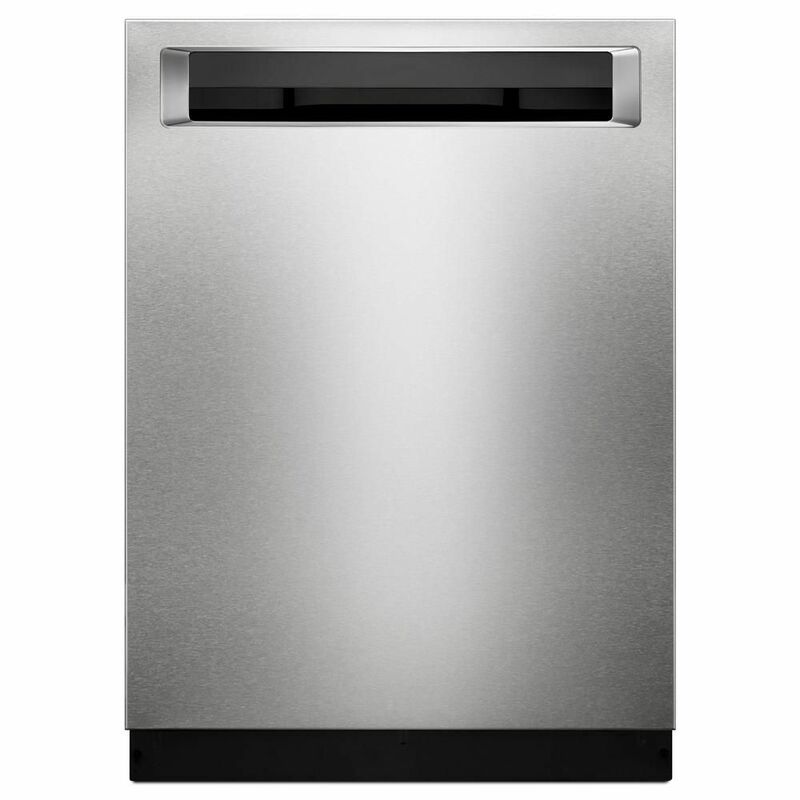 This KitchenAid dishwasher has concealed controls to blend in with your kitchen decor. Adjustable upper basket, SatinGlide rack, folding tines and 3rd rack. 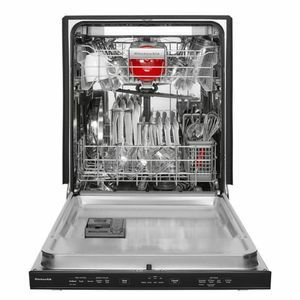 Lets you set the dishwasher to start running while you're working, sleeping or running errands. 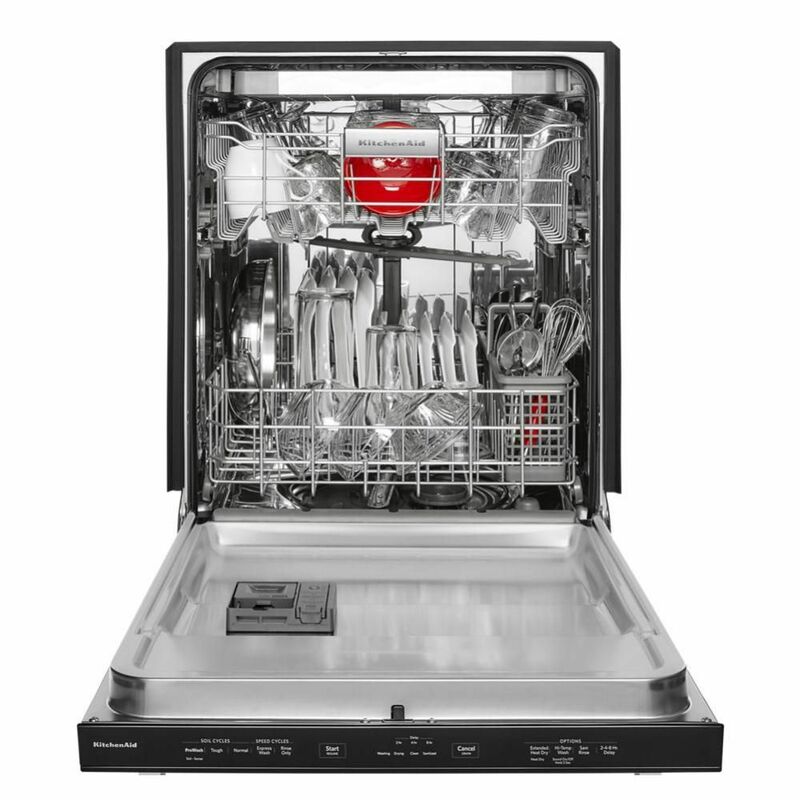 Generous interior space means more clean dishes, fewer loads. Choose between heated dry or energy saver (no heat) dry option.